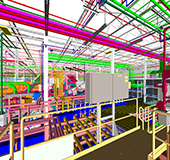 TOLEDO, Ohio, January 1, 2018 – SSOE Group (www.ssoe.com), a global project delivery firm for architecture, engineering, and construction management, announced the appointment of three new Senior Vice Presidents and two new Vice Presidents, effective January 1, 2018. 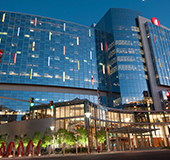 Nate Czerniejewski, PE, PMP; Jim Lewis; and Mary Stepnick, AIA, PMP were named Senior Vice Presidents of the firm. 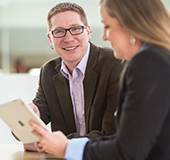 Brett Susany and Jennifer Wuertz, SPHR, GPR, SHRM-SCP, were named Vice Presidents. 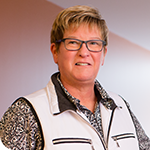 Mary Stepnick, AIA, PMP, joined SSOE in 1984 as a drafter in the Architectural department. Over the course of her 30-plus career at SSOE, she has experienced and led many changes. Mary earned her Bachelor of Arts in Architectural Technology (Individualized Program) from the University of Toledo in 1990, obtained her architectural registration in 1996, and was promoted into a Senior Project Manager role in 1998—eventually leading the Project Management department in the Automotive and Manufacturing Facilities business unit. She became Project Management Professional (PMP) certified in 2008. In 2011, Mary moved from the operations side of the business to corporate, serving as the Director of Quality and then as Senior Director of Corporate Services. Mary was promoted to the position of Chief Administrative Officer with oversight of several corporate functions in 2016. Jim Lewis started his career with SSOE in 2001 as a contract staff member with SSOE’s then FPPC (Food, Pharmaceutical, and Personal Care) business unit. He became an employee in 2002 as an Engineer 3. His career continued to progress and in 2009, he was promoted to Section Manager of the Food and Consumer Products (FCP) Controls Department. In 2011, Jim was promoted to Department Manager and in 2017, he became the FCP business unit Manager. Jim is a past recipient of SSOE’s Leadership Award for his leadership as a Department Manager with staff across five locations and project management of accounts earning more than $2M in revenue. Jim is a graduate of the University of Toledo, where he earned a Bachelor of Electrical Engineering. Jennifer Wuertz, SPHR, GPR, SHRM-SCP, joined SSOE’s Human Resources department in 1993. She’s served in various positions within the Human Resources Department before being named Director of Talent Management in late 2014. In 1999 Jennifer became an Associate, in 2006 she became a Senior Associate, and was named a Principal in 2016. Twice a graduate of the University of Toledo, Jennifer has received both her Bachelor of Art in Human Resource Management and her Masters of Business Administration (MBA). She is a Senior Professional in Human Resources (SPHR) and a Global Professional in Human Resources (GPHR), attaining certification from the Human Resources Certification Institute (HRCI). She is a member of both the Society for Human Resources Management (SHRM) and the Northwest Ohio Human Resources Association (NOHRA). Nate Czerniejewski, PE, PMP, joined SSOE in 1995 as a Student Intern, and quickly advanced within the organization. Over the years, Nate has gained invaluable experience by serving as SSOE’s on-site engineering manager for Toyota in San Antonio, Texas; Princeton, Indiana; and Valenciennes, France. 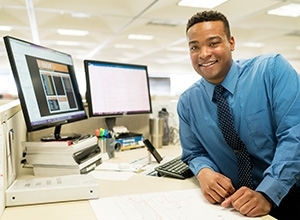 Subsequently, he served as Section Manager, Senior Project Manager, On-Site Lead Construction Manager, and Division Manager before becoming General Manager for SSOE’s Construction Management Division. In 2012, he obtained his Project Management Professional (PMP) certification. Nate is a graduate of the University of Toledo, where he earned a Bachelor of Science in Civil Engineering. Brett Susany has over 20 years of experience in project management and mechanical engineering, with a strong focus on basebuild facility retrofits and process tool installation. 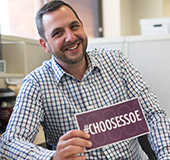 As a part of the merger between SSOE and Evergreen, Brett joined SSOE in 2013 as a Principal and Senior Project Manager. 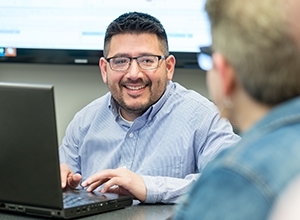 He’s demonstrated his project management experience on both large and small projects organizing and mobilizing project teams, while concurrently providing support for site offices. Brett is a graduate of Vanderbilt University, where he earned a Bachelor of Mechanical Engineering.